Raising your conversion rate by using Google Analytics and ARGOS UX Robot. All the businesses which promote and advertise online should be interested in having their visitors stay longer in their online stores and sell them more products or services. Often flash sales and event promotion become marketing tools. And it would be inefficient if the companies choose to increase equipment before they have a right prediction of the number of visitors. However, you can ensure adequate service performance by giving the total performance of the service or estimating visitors. And you can also get assisted by the CDN (Contents Delivery Network) services when there are exceeded numbers of visitors momentarily over the capability. Google Analytics is easy to use tool especially to analyze the behavior of the visitors. For better use of GA, it is necessary to analyze Bounce Rate and Conversion Rate in depth from the basic analysis reports. ‘Landing Page’ is the first page that a visitor sees on the Website or App screen, and ‘Exit Page’ is the last page where the visitor saw when the switch to another Website or App. And the definition of bounce rate in GA is as follow. There are a number of reasons your website can have a high bounce rate. There are more of analysis reports for it to identify the cause easier. For example, ‘Page Speed’ is a good report on slow pages. What would you do if you identify the page with a high bounce rate becomes slow? For your reference, GA measures data from the visitor’s devices. That is, the slow page speed implies the slow response time of the Web or App server measured from the visitor’s device. The response time of the Web or App server is determined by the service time which is constituted by the Web/App server, WAS, Network, DB, etc. ‘Conversion Rate’ report is also one of the major reports. When you set the goal page or screen, it shows the number of visitors who visited your goal pages on a total number of visitors. In another word, increased conversion rate means that the site is leading visitors to the target page and also to perform the desired action on pages such as service subscription, purchase order, sign up, etc. Of course the lower the Conversion Rate, the higher the Bounce Rate. The difference between two is that Bounce Rate targets the entire pages or screens and Conversion Rate targets a specific target page or screen. The reason for the lower Conversion Rate is related to the reason for higher Bounce Rate. Unfortunately, GA cannot provide you any information in this regard. ARGOS UX Robot also measures from the visitor’s point of view. However, there is a significant difference from GA.
ARGOS UX Robot collects and analyzes each page or components constituting the page or screen; network speed, server response time, download traffic speed and page size and more. 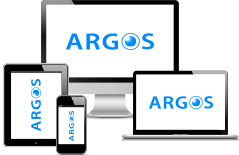 ARGOS UX Robot distinguishes the issue of each component: whether it has slow response time; if the issue comes from network or server; whether the component is an external site or internal site. Also, ARGOS UX Robot measures the CPU and memory usage of the device to analyze whether the device is performing poorly, and whether the performance of the system is enough to run the service Web or Apps. This feature helps visitor’s burden on their devices. 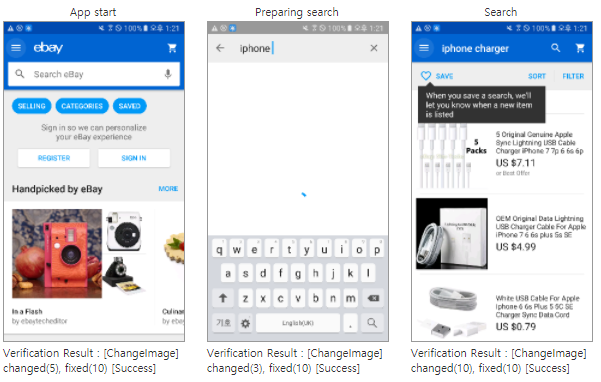 GA does not perform enough on processing information for mobile apps, ARGOS UX Robot has solved those problems with additional features for mobile app analysis. Your conversion rate will increase by using ARGOS UX Robot Analytics with GA Analytic. https://www.argos-labs.com/wp-content/uploads/2017/11/05..png 259 705 ARGOS LABS https://www.argos-labs.com/wp-content/uploads/2018/11/logo-black-150x70.png ARGOS LABS2017-11-20 21:55:102018-01-08 00:34:01Raising your conversion rate by using Google Analytics and ARGOS UX Robot.